Materiality is a concept that defines why and how certain issues are important for a company or a business sector. A material issue can have a major impact on the financial, economic, reputational, and legal aspects of a company, as well as on the system of internal and external stakeholders of that company. The Materiality concept applies in a wide variety of contexts: accounting, reporting, business, financial, legal, risk and, more recently, Environmental, Social, and Governance (ESG) or sustainability or non-financial issues*. The history of the concept dates back to 1867**, when the English Court introduced the term “material”, by referring to “relevant, not negligible fact” that emerged in the judgement of the false accounting case concerning the Central Railways of Venezuela. The English Common Law could indeed be considered as the cradle of the concept of materiality! The concept of materiality has been brought into the public spotlight in the sustainability context by the Global Reporting Initiative (GRI) in their G3 Guidelines in 2006 – the cornerstone of the GRI Sustainability Reporting Framework. It has quickly become essential for stakeholder engagement exercises and topic mapping while appearing as a keyword in consultant pitches. Sustainability professionals around the world clambered to understand the term and the process, outlined by standard setters like the GRI and the International Integrated Reporting Council (IIRC). As a concept borrowed from the accounting and auditing domain, materiality represented the perfect idea to foster the integration of non-financial issues in the mainstream business thinking and decision making. It sounds professional, financially relevant, familiar to investors and auditors. * For the purpose of this analysis the terms Environmental, Social, and Governance (ESG), Sustainability or Non-Financial are used interchangeably. ** Holmes, W. (1972). Materiality--Through the looking glass. Journal of Accountancy (pre-1986), 133(000002), 44. ​What does a robust materiality assessment look like? As mentioned initially, materiality is the concept that defines why and how certain issues are important for a company or a business sector. A material issue can have a major impact on the financial, economic, reputational, and legal aspects of a company, as well as on the system of internal and external stakeholders of that company. ​However, there are a number of materiality definitions depending on the context of use. Although not exhaustive, the below definitions provide a perspective of materiality from key stakeholders – regulators, standards setting bodies, and investors. The recent remarks by U.S. Securities and Exchange Commission by William Hinman – Director of the Corporation Finance Division – on ESG disclosure are in a way advancing that the current accounting principles already cover non-financial factors. The SEC stance is then that the Commission won't prescribe issue specific disclosures – companies are in charge of assessing material risks. "The flexibility of our principles-based disclosure requirements should result in disclosure that keeps pace with emerging issues, like Brexit or sustainability matters, without the need to for the Commission to continuously add to or update the underlying disclosure rules as new issues arise." "[..]if a company determines that its physical plants and facilities are exposed to extreme weather risks and it is making significant business decisions about relocation or insurance, then, when these matters are material, companies should provide disclosure." The IFRS Foundation develops and promotes of the respective IFRS Standards through its standard setting body – the International Accounting Standards Board (IASB). Importantly, both negative effects (for instance, a reduction in revenue targets or damage to reputation) and positive impacts or opportunities (including, an emerging market for new products or cost savings initiatives) are included. Overall, these definitions provide two major perspectives – one is stakeholder oriented as it emphasizes the impacts an organization has on the environment and society. The other has a greater focus on an organization, as it is centered on the impacts the environment and society have on the organization. Interestingly, the EU Commission released earlier in 2019 the Consultation Document on the Update of the Non-Binding Guidelines on the EU Non-Financial Reporting Directive (NFRD). It was the first policy to merge these perspectives in one. The Document introduces a new definition of materiality – called “double materiality”. 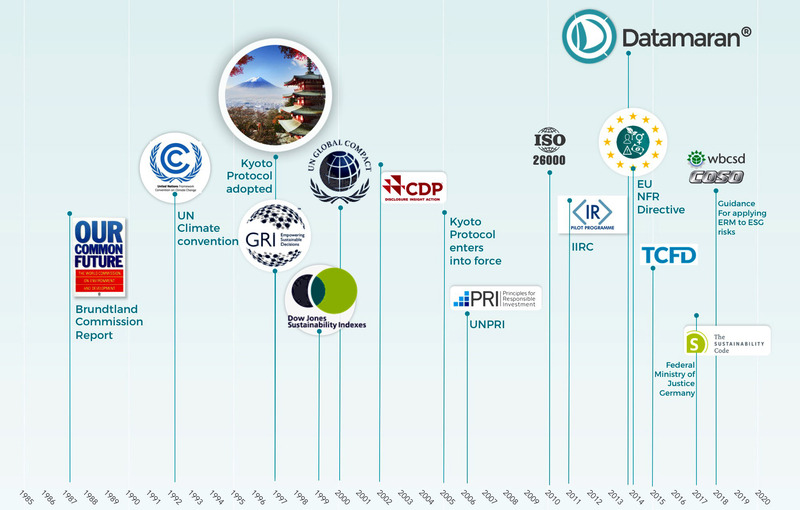 The first perspective concerns the potential or actual impacts of climate-related risk and opportunities on the “performance, development and position” of the company (indicated as “financial materiality”, with an investor type of audience). The latter refers to the “external impacts of the company’s activities” (labeled as “environmental and social materiality”, whose audience consists of consumers, civil society, employees, and investors too). Read how the EU Non-Financial Reporting Directive is changing and what it means for business in this blog. Whichever perspective is taken, the key takeaway from these different definitions is that materiality is flexible, time-variant, and context-driven. Consequently, the only defense against subjective and self-serving materiality is to ensure that the materiality assessment is accorded with a robust due process. As a result, the approach to the methodology of defining and assessing which non-financial issues are material becomes critical. Frameworks or voluntary initiatives and regulations are asking for a robust process without describing it operationally and the standards to which companies are required to comply are increasing exponentially. 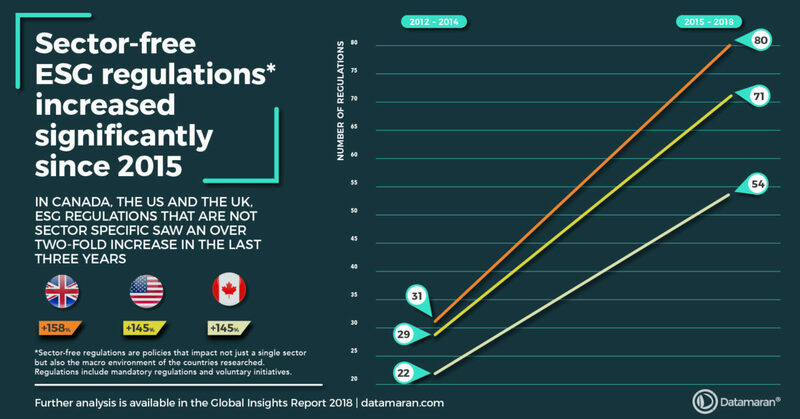 In the last three years alone ESG-related regulations grew by more than 100 percent across the UK, US, and Canada, indicating that the ESG regulatory landscape is evolving fast. The transition of non-financial space from voluntary to mandatory amplifies the importance of the due process even more. What does a robust materiality assessment look like? Materiality assessment or analysis is a process in which a company identifies the environmental, social, governance and broader emerging issues, such as digitalization, innovation, geopolitical events that are most important given the operating context of a business. There is also a growing case for continuous monitoring of our potential material issues - we will be looking at the findings on a more continuous basis from benchmarking, underwriting, and investment perspectives. It really helps us to stay tuned with what is going on in the outside world and adapt accordingly. Besides focusing on peer benchmarking, monitoring also helps us to understand the areas where we might need to take more forceful positions. For example, if you look at the area of climate change, probably waste is not going to be material for an organization like Zurich Insurance, but there might be other areas that are becoming mature in relation to the risks faced by insuring physical properties in the face of a changing climate. Materiality analysis provides insights into future trends and business risks and opportunities that influences its ability to create value. It helps companies identify topics that its stakeholders expect them to focus on. The materiality assessment usually guides sustainability or integrated reports and it is an essential engagement tool internally. 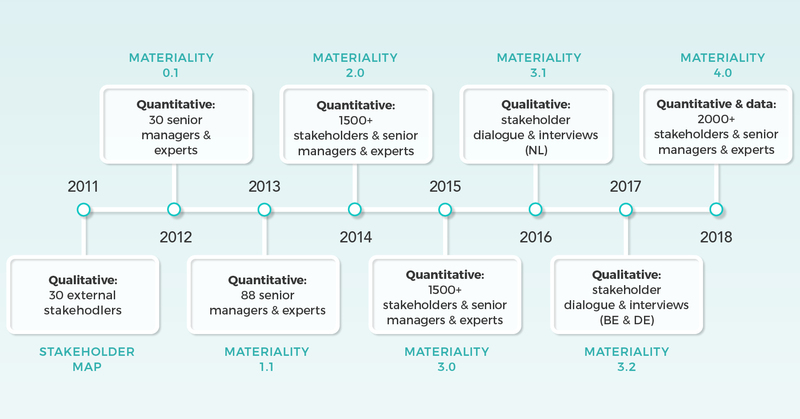 “It helps to review management approach on material topics and assess where we can improve” – suggests ING’s Sustainability Lead when discussing the bank’s Materiality Journey: Integrated Doing Accelerates Integrated Thinking. Make better decisions about investment in sustainability (know what is material and where you can have the biggest impact or mitigate the biggest risk). Integrate non-financial issues into reporting to present a more complete picture to stakeholders. Enhance business strategy by using materiality assessment input to reflect new business risks and opportunities. Strengthen the foundation of sustainability work by embedding these issues across departments and supply chain. Enhance stakeholder engagement by presenting them with viewpoints on issues that illustrate long-term value. Stay ahead of continuously evolving stakeholder and regulatory compliance on these issues. 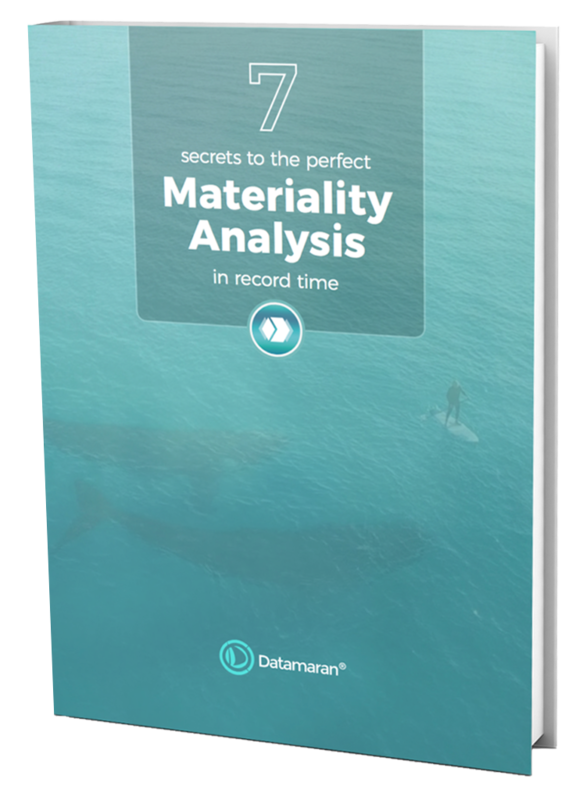 Read the seven tips to the perfect materiality analysis to get the detailed overview. One of the key questions regarding the materiality assessment is how often companies should perform it, and the realistic time and resource demands associated with the maintenance of the process. More companies are choosing to run their materiality assessment than before. 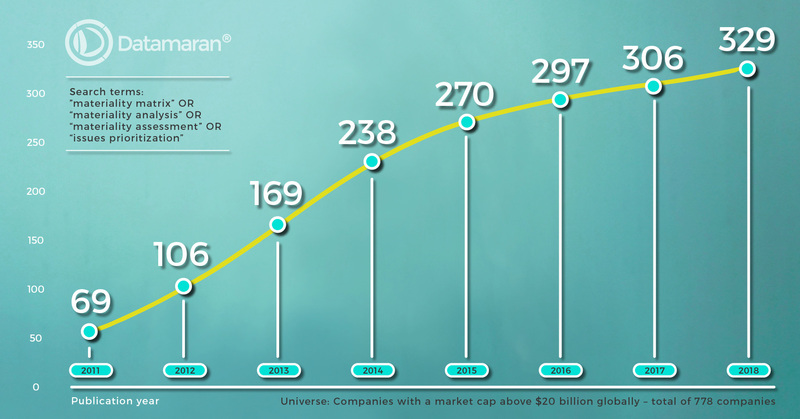 The recent Datamaran study shows that there has been an increase in the number of companies with a market capital above $ 20 billion doing the assessment, from just 69 companies reporting on materiality in 2011 to 329 in 2018. Notwithstanding due process, emerging issues can rapidly change what is material and put new ESG issues in the spotlight. The examples could be Greta Thunberg putting the climate change agenda to the heart of the corporate discourse or the #MeToo campaign fighting the sexual harassment at workplace. For this reason, companies are starting to identify and monitor material issues in a more dynamic and ongoing way – decoupling materiality analysis from the annual reporting exercise. An inadequate or uninformed materiality assessment approach exposes entities to financial, reputational, and legal risks among the others. The court of public opinion is often a good predictor of the real courtroom – especially considering the rise in mandatory disclosure requirements. The path from public outcry caused by greenwashing to legal accusations and sanctions for misrepresentation can be dramatically short. EasyJet and Balfour Beatty were among four leading UK companies that have been reported to the Financial Reporting Council (FRC) over their failure to disclose climate change related risks in their annual reports to shareholders. In the case of Nissan, it is clear that the company has failed to report critical corporate governance issues in its annual reports for the last three years. Had this been noted by shareholders and regulators, the lack of transparency should have given an advanced warning of a potential problem. Comparing Nissan to the other leading automotive companies showed that out of 40 companies covered, Nissan ranked 37th in 2016, 40th in 2017 and 35th in 2018 in terms of transparency. Nissan did not disclose any information on corruption and bribery, executive compensation or fair remuneration in any of the three years. 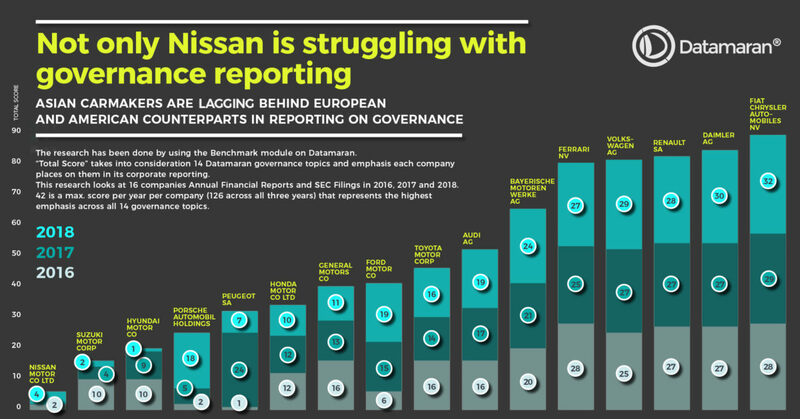 Read on how Nissan’s lack of transparency could have highlighted the problem earlier – a detailed study of Nissan’s ESG disclosure compared to its peers. Despite the difficulty of defining materiality and its practical application, it remains a key element in building integration between the non-financial or ESG or sustainability domain and the mainstream business management. With policymakers taking a tougher stance on ESG-related regulations, materiality will be front and center in defining corporate accountability.